Unify in order to Explore. Attracting Wakefullness. Wavespell of Space. Perpetual 13-day Wavespell. Last appearance from 17 until 29 December 2018. 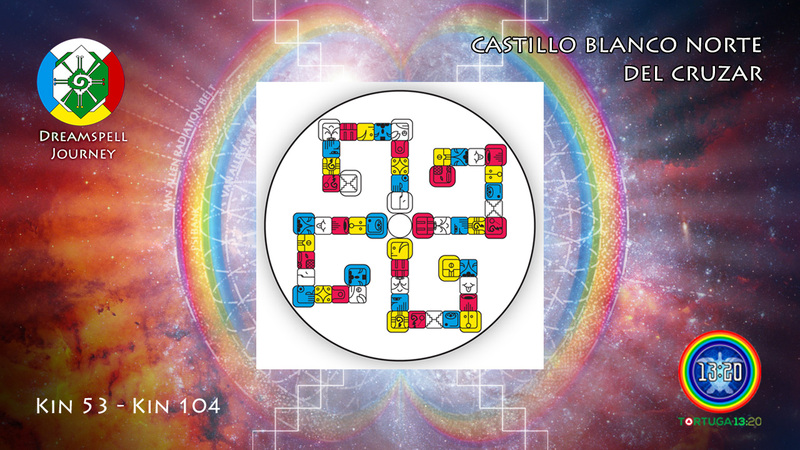 All Dreamspell codes displayed by day are based on the original work Dreamspell, designed and presented by José and Lloydine Argüelles, otherwise known as Valum Votan & Bolon Ik. The Wavespell’s description, prophetic analysis and organisation of the codes are done by Tortuga 13:20 Communications. The Red Skywalker Wavespell opens the White Northern Castle of Crossing which is the second castle of the Dreamspell Journey. It represents the Court of Death and it covers the second group of 4 Wavespells (Skywalker, WorldBridger, Storm, Human) = 4×13 = 52 Days. The White Castle goes from Kin 53 until Kin 104. Through crossing planetary kin attain Power of Descending. Dreamspell: White Northern Castle of Crossings. 4 Wavespells from Kin 53 to Kin 104. Click to enlarge. The Red Skywalker is Seal number 13, therefore it represents the Power of 13. This is a relevant number which codes the 13 Tones of creation (13×20), the 13 Moons/Moons of the Dreamspell year (13×28), the 13 human joints, etc. The sign of Skywalker comes from the original Maya glyph of B’en which signifies “Reed, Green Corn or Trees”. 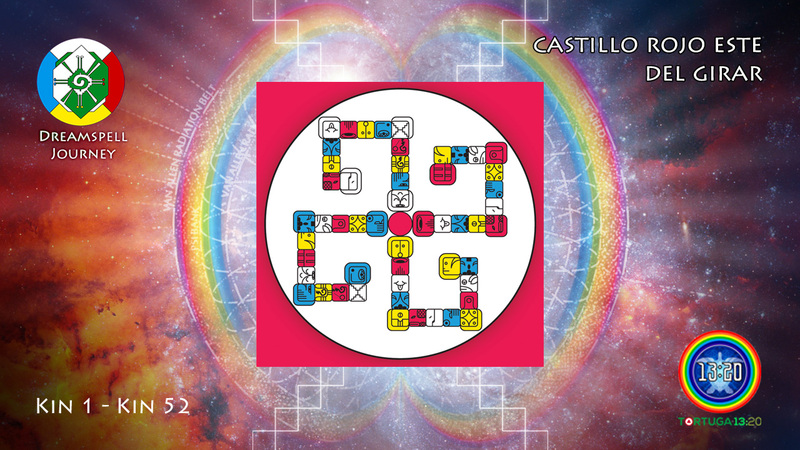 The Maya Cosmic Axis (13 Heavens + 9 Undergrounds) is represented by the Ceiba Tree which connects the planes of Heaven (branches), Earth (trunk) and Underground (roots). In the Dreamspell transcreation, the Skywalker relates to the cosmic origin, the heavenly nature of our existence, the wakeful state of consciousness. This meaning is encoded in the Telektonon Matrix brought forth by the skywalkers Valum Votan and Bolon Ik (11+22 = Kin 33 = Resonant Skywalkers). The Telektonon Heaven’s Walk means the sky-walking of the Twin Archetypes. The Skywalker invites us to access the Divine Consciousness in order to bring Heaven to Earth. Down below, the Prophetic Insights by Tortuga 13:20, followed by the Original Affirmations and Codes of the Red Skywalker Wavespell by Valum Votan and Bolon Ik, the authors in Eternity. In Lak’ech.